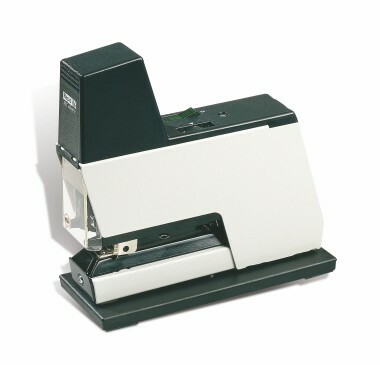 The Rapid 105E is a solid and reliable electric stapler from a long established and highly rated Swedish manufacturer. This automatic stapling machine is ideal for stapling thin pads & header cards etc. Up to 4 Rapid 105E electric staplers can be linked together with opto cables for automatic multi-head stapling.